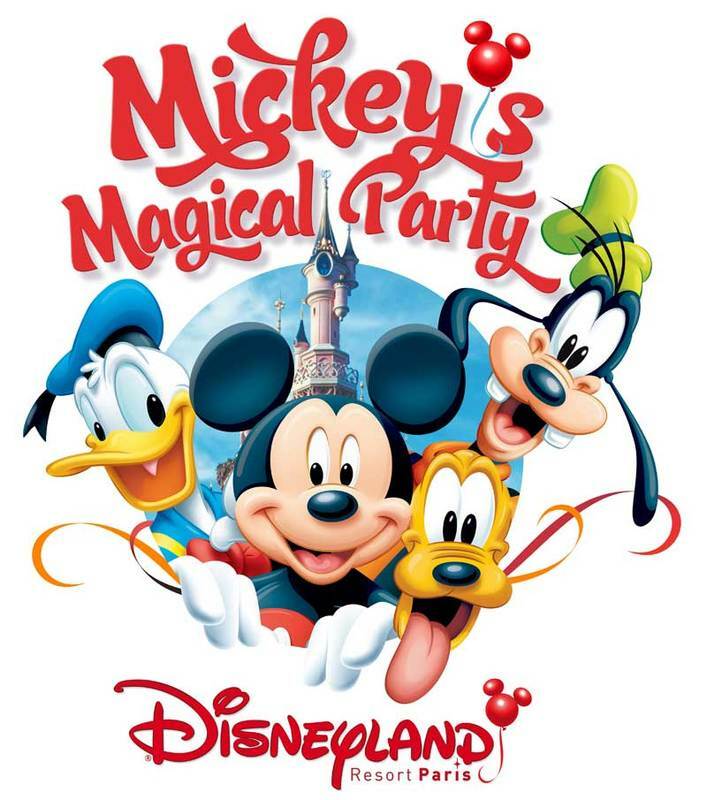 From 4 April 2009 until March 2010 Disneyland Resort Paris will celebrate “Mickey’s Magical Party”. For this new year Mickey Mouse invite the guests to live magical moments with a new season full of new parades, shows and attraction. A new show “Place à la fête avec Mickey et ses Amis” – “On with the show with Mickey and his friends” located on Central Plaza’s new stage with the Lion King, Jungle Book and Aladdin characters”Place à la Danse à Discoveryland” – “Let’s Danc at Discoveryland” with Stitch as the DJ. His mission to warm up the heat of Disneyland with an intergalactic dance stage. Minnie will become the charming hostess of a small train going up Main Street, U.S.A.
At the Walt Disney Studios there is a new parade. The Disney’s Stars ‘n’ Cars, a Hollywood extravaganza with the characters of Toy Story, Snow White, Monsters Inc, Mulan, Little Mermaid and the Disney Villains, with themed cars from the previous cars parade at the Disney-MGM Studios park in Florida. Playhouse Disney – Live! is a new attraction at Walt Disney Studios, where younger children will prepare for Minnie, along with other Disney Channel heroes, for the best birthday party ever organised. A press event at the park on the 28th March will be held to help launch Mickey’s Magical Party! From 4 April 2009, new dreams become reality at Disneyland Resort Paris with Mickey’s Magical Party!! English translation of DLRP Press Release by Alain Littaye. I went to The Magical Music of Walt Disney concert at The Cambridge Corn Exchange this afternoon and had a wonderful time. The Cambridge Philharmonic Society played a lovely selection of music from many of Disney’s films. The musical journey was narrated by actor David Timson and each peace of music as accompanied with images from the films and Disney animation archives projected on a big screen behind the orchestra. Here is the play list. Finally there was an encore of a sing along to “It’s a Small World” with images from the ride and the words projected on the big screen.